When you play a stock market game, you will need to learn a few basics. This holds whether you are trading for fun or you are building your skills for trading real money. 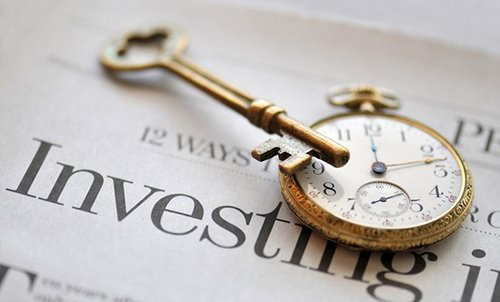 Learn how to invest with tips from top investors. Practice, Practice, Practice Stock Paper Trading! : Trading on the stock market is not as much about luck as some people want to believe, but skill. Joining a stock market game is a great way to learn to trade stock in a safe, stress free environment. Try out new strategies. Learn investing in stocks for beginners using investment trends. You will be able to learn by doing, without breaking the bank. Research and Learn! : Gather all the knowledge you can to make your trading successful. Visit sites like Beginners Investing and Option Strategy to learn about different aspects of trading. You may also want to take a course to learn more. Many community colleges offer classes. Beginners Investing 101 Course is one of the best courses available. This online course is available at a fraction of the cost of a college course. Diversify! : Diversification means more than just investing in multiple companies. You should also invest in different markets (oil and technology) and securities. You should also pay attention to factors like international exposure. Other factors include the success of that particular industry and market capitalization. Timing the market is a fantasy. : Don’t try to buy at the bottom and sell at the top. Most of the time you will sell in the bottom 25% of the trading range and buy in the top 25%. You will still be very successful if you follow this tip. Keep an eye out for trends! : When you hear buzz about new companies or products, research them. Find out if they might be worth investing in. Many people have made gains by following trends such as smart phones or shoes. If you keep hearing about a particular trend, it could be worth investigating. Cliches stick around for a reason. : Many of the old sayings that you’ve probably heard hundreds of times are worth heeding. Leaving emotion out of stock trading (thanks, Wall Street), ride the winners and cut the losers. The market overreacts to news. These are all valid and you should keep them in mind while trading. Good luck! Use these tips to invest in stocks today!